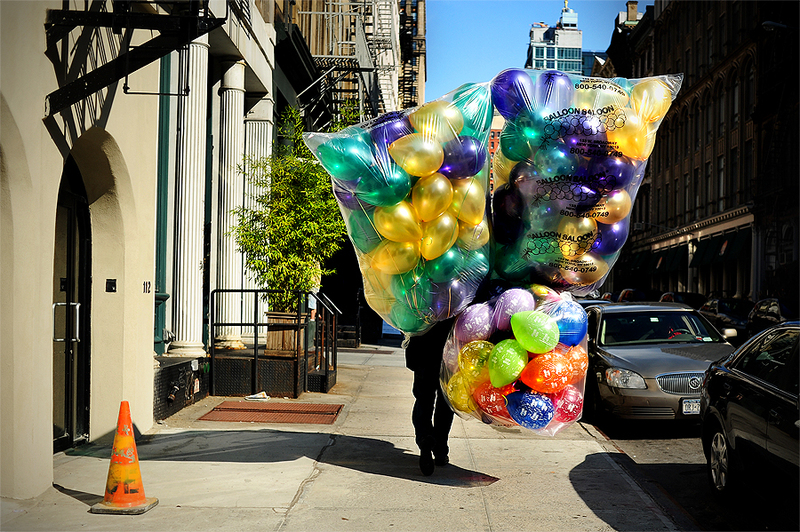 "Carrying balloons, a man walks down the sidewalk near the East Village in New York City, Ny., Wednesday, Aug. 25, 2011." Was in New York City yesterday and spent a lot of time on my feet. I kept thinking back to this guy, as I wish I could have floated around. Probably would have saved my feet the pain that they're in today. But I had a great day in the city. Simply love the energy.